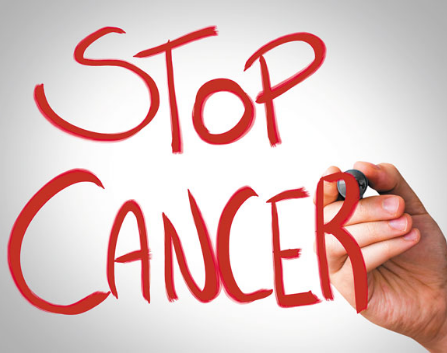 Cancer is one of the most dangerous diseases in the world today. No wonder it is called the “emperor of all maladies”. In fact, cancer is so dangerous that some Oncologists named it “the messenger of death”. As of today, I don’t think there is anything as scary as a cancer diagnosis. Even though there are claims that some cancers are treatable, an ounce of prevention is always better than a pound of cure. In this article, we have come up with 11 preventive measures everyone should take against cancer. When you apply some of these tips, the chances of you having cancer will be very low. One of the preventive measures everyone should take against cancer is to reduce the use of tobacco products. Research has linked smoking with different cancer. Outside of the fact that smoking can cause cancer of the lungs, it can also cause cancer of the mouth, throat, larynx, cervix, bladder, pancreas, and kidney. So, if you really want to reduce your risk of cancer, you will have to stop excessive smoking and usage of tobacco products. According to a recent research by the National Cancer Institute, there is a strong scientific evidence that consumption of alcohol can lead to several types of cancer including; breast, liver, head, neck, and colorectal cancer. The study further explains that people who combined alcohol with smoking and usage of other tobacco products have a great risk of developing cancer. Also, people who take alcohol are more vulnerable to cancer than those who don’t take. People who always watch their weight and engage in weight burning exercises are less vulnerable to cancer. Whether Prostrate, breast, lung, kidney and colon cancer, maintaining a healthy weight is a good preventive measure. Engaging in physical exercises among the preventive measures everyone should take against cancer. Staying active is one of the habits of fighting cancer. So, people that are very active in their various physical exercises are less vulnerable to breast and colon cancer. Since cancer is a great threat of everybody out there, a regular screening test can help to detect cancer before they spread. It is a great preventive measure to do a regular cancer screening test. Taking a healthy diet can reduce the risk of cancer. Healthy diet in this context refers to fruits, vegetables and high quality source of protein. Furthermore, consume less of red meat and reduce your intake of sugar. This is one of the preventive measures everyone should take against cancer. Excessive exposure of the skin to the sun is one of the causes of skin cancer. This cancer happens to be one of the most common cancers out there. However, when you try as much as possible to avoid excessive exposure to the sun, your risk of cancer is low. So, when the ray of the sun is too high, you can always stay indoor or impossible use umbrella. Try as much as possible to avoid harmful pollutants. However, those that work in certain industries may not be able to avoid harmful pollutants. In a situation like this, you are advised to wear protective masks and gears.